East Side, West Side (1949) is a melodramatic crime drama that stars Barbara Stanwyck, James Mason, Van Heflin, and Ava Gardner. 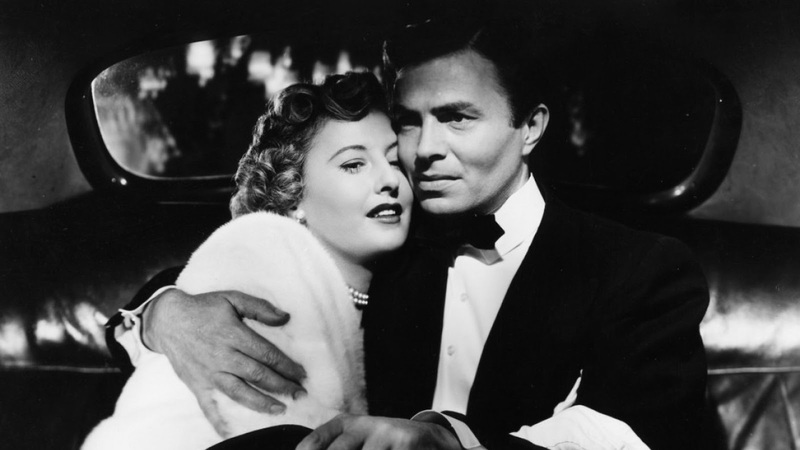 Mason is Brandon Bourne, the unfaithful husband of Jessie Bourne (Barbara Stanwyck). Mason is infatuated with the beautiful and manipulative Isabel Lorrison (Ava Gardner). Jessie does her best to keep her marriage together, but when Isabel is murdered, all bets are off. Police officer Mark Dwyer (Van Heflin) sets out to find the murderer, while finding himself drawn to Jessie in the process. 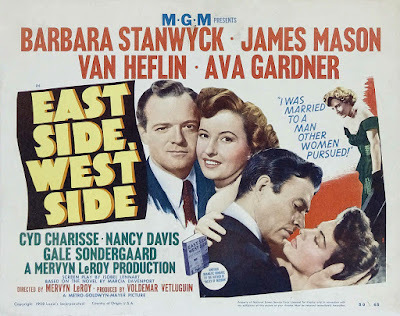 This all-star M-G-M production features direction by Mervyn Leroy (Gold Diggers of 1933, Random Harvest (1942), Little Women (1949), Quo Vadis (1951)) with a supporting cast that includes Cyd Charisse, Gail Sondergaard, William Conrad, William Frawley, and future First Lady, Nancy Davis Reagan.